Law firm Lodders has created a dedicated equine law team as part of the service it provides to both business and private individual equine clients. The firm’s team of equine specialists draws on Lodders’ strengths in agricultural law, private client matters, dispute resolution and planning. Although the firm has delivered equine advice to clients for several years, the dedicated equine law team has been set up in response to growing demand. 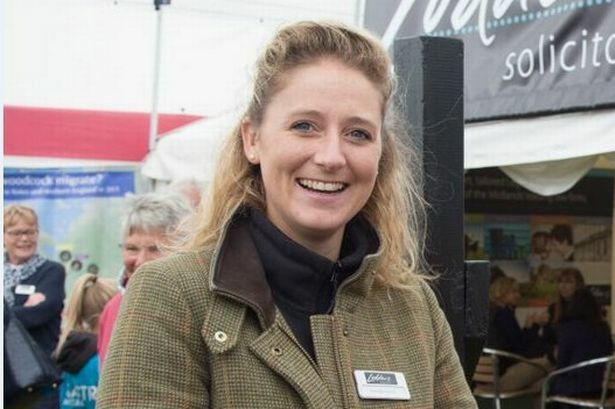 Natalie Smith, an associate in the private client team, who is herself an experienced and accomplished rider and a member of British Show Jumping, the British Horse Society and the Malvern Hills Riding Club, said: “Lodders has long worked with private clients and businesses in the equine sector, as part of its highly regarded work within the agricultural and landed estates sectors. “We feel the time is right to formalise this offering with a dedicated, specialist law service. “Our equine law team provides advice on the range of equine-related legal matters, from sale and purchase, loan and leasing agreements for horses, equestrian business sales and private client matters, to dispute resolution, planning and residential and commercial conveyancing for equestrian properties. Lodders’ senior partner and head of the private client team Martin Green, added: “We understand how the countryside works. We have one of the largest and most experienced agriculture law teams in the region, many of whom have first-hand experience of the wide ranging needs of those who live and work in the countryside, whether they are farmers, landowners or diversified rural businesses. “Whilst the firm has delivered an extensive variety of legal advice to equine clients for very many years, we feel the time is right to formalise this work and create a dedicated equine law team to further enhance the specialist support available across our team. Working with Ms Smith in the team are partner Ian Flavell, a specialist in estate and tax planning, trusts and wills for farmers, owners and trustees of landed estates, corporate and commercial specialist and partner Mark Lewis, agriculture and real estate partner Caroline Nemecek, dispute resolution partner Mike Wakeling and environmental specialist and associate in Lodders’ real estate team, Victoria Longmore.